Obama in Cuba: Will the Visit Advance the US Cultural War Against Cubans? There are several aspects to this cultural war, in its broadest sense, which is presently being waged against Cuban socialist culture. One of these themes is the massive US media war and political disinformation campaign on the issue of civil rights in Cuba as part of human rights. In the face of this open declaration of cultural war, understanding culture in its broadest sense, beyond the artistic and literary meaning, it would be naive to think that history will not be – indeed it already is – one of the fundamental targets of those who seek to undermine from within the socialist culture in Cuba. But if some in Cuba or outside, especially in the revolutionary ranks, make the mistake of forgetting or neglecting the importance of study and deep knowledge of the past in the present circumstances, it would play into the hands of those who now with new clothes persist in their goals of destroying the Cuban revolution at its very roots. There are several aspects to this cultural war, in its broadest sense, which is presently being waged against Cuban socialist culture. One of these themes is the massive US media war and political disinformation campaign on the issue of civil rights in Cuba as part of human rights. The US narrative is that indirectly or directly – and grudgingly – it acknowledges Cuba’s accomplishments in the realm of social rights, as a subset of human rights, with regard to health services, education, culture and sports. However, it accuses Cuba of violating individual civil rights and political rights, referring, as an example, to the often-cited US-centric double standard of the “right to free speech, free press and protest.” Thus, according to this anecdotal explanation, Cuba is not a democracy, since it violates civil/political rights and, by extension, human rights. However, civil rights, such as political rights, comprise an important part of the foundation that safeguards and promotes the full spectrum of human rights. The most significant civil right afforded to Cubans – and demanded by Cubans – is to participate in its own political system. This tradition, while not perfect and thus always in evolution, stems back to the collective mass revolutionary struggle leading to the victory of the Cuban Revolution and thus to the people’s political power in January 1959. One cannot forget this history. This legacy has continued through many forms while seeking to improve participatory democracy. If Cubans had not had – and did not now have – the capacity to exercise their own political power, how could other human rights have been won and guaranteed? For example, if Cubans had not exercised their individual politics rights in the 1950s to win political power, how would the securing of social rights – such as the right to health, education, culture and sports – have been accomplished in the first place? Since 1959, the Cuban Revolutionary Government strives to involve the participation of the people to improve these social civil rights. The citizens, for their part, endeavour to strengthen their own real political power to safeguard and upgrade their social/economic/cultural human rights. There is ample space within the Cuban socialist culture for this debate and action to flourish in order to move Cuban socialism from one stage to the next. However, this democracy in motion is ignored by the US ruling circles. Washington and most of the US mainstream media only recognize those civil political rights as a component part of human rights defined and demanded by what they call Cuba’s “civil society.” This very marginal “opposition” is ideologically and/or financially dependent on the US, which has created it in the first place. 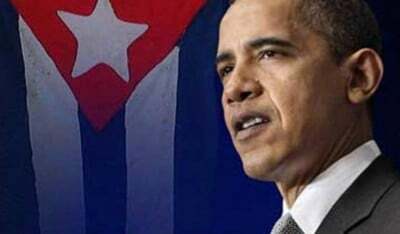 Their goal is to act as a US Trojan horse to destroy the Cuban Revolution from within. Of course, this fringe is hardly a basis for undermining the Cuban Revolution. Thus, in order to reinforce the Trojan horse, the US also targets the more than 500,000 self-employed workers. This growing section of Cuban society is wrongly perceived by Cuba’s neighbours to the North as natural fifth column recruits to the US “way of life and values” (capitalism and dependence on the US) to undermine Cuban socialist culture. The US may underestimate the patriotism of the vast majority of Cubans, including the growing number of self-employed, who the US unjustifiably refers to as the “private sector,” as though they are detached from Cuban society and its socialist culture, which is not the case. The “civil rights” of US-fabricated opposition and any other sections of the society that can be grafted on to them defy the civil and political rights of the vast majority of the Cuban people. There are several elements complicating the current situation in Cuba since the thaw that was initiated by both countries on December 17, 2014. Within Cuba itself, Ramírez Cañedo is concerned, and rightly so, about some “in the revolutionary ranks” that become victim to this US-fuelled cultural war. This would come about, as seen by the author of this piece, among other hurdles, by forgetting Cuba’s past regarding civil/political and social human rights. Thus, individuals would fall into the trap of referring to the false dichotomy between civil/political rights and other human rights, such as health, education, culture and sports. Outside of Cuba, the situation has also become more complex. Before December 17, 2014, many commentators had been strongly opposed to the US policy on Cuba. There was a gap between them and Washington. Now the situation has changed. Some of them have become the vanguard of Obama–Cuba policy, forgetting that the US has only changed tactics. They have morphed into apologists of the new policy, which serves to finally achieve its strategic goal of undermining – now from within – the Cuban Revolution. One of the political/ideological foundations of this new vocation is to say, in effect, “We concede that Cuba has made many achievements on social rights such as health and education as part of human rights, but civil and political rights are being violated in Cuba.” Political civil rights are thus set in contrast to social/economic/cultural rights. Alternatively, some may remain silent on Cuba’s revolutionary style of political civil rights, thus, wittingly or not, also assisting the US in its cultural war against Cuba. The question is, will Obama’s visit to Cuba provide Cubans the opportunity to make headway against the cultural war, or will it allow the US to make inroads? Or are both these scenarios on the horizon?